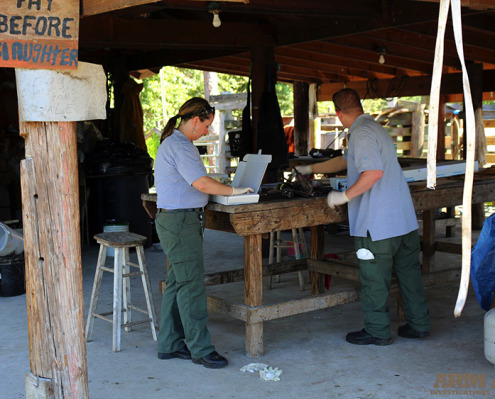 As a part of the three illegal slaughter farms that were struck by ARM, State and Federal agencies on October 13th, 2015, ARM investigators began its initial phase of conducting undercover investigations on a property known as Medina Farm. 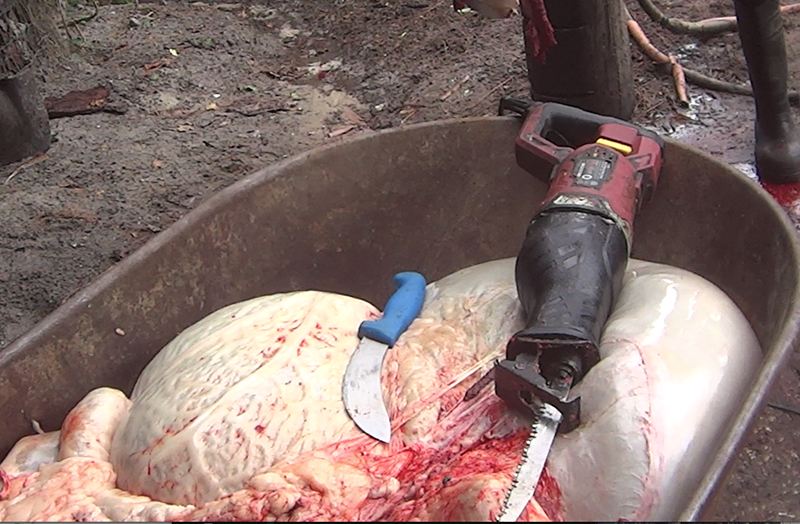 (Click on the link here to learn more about the simultaneous raids on Gacia Farm and G.A Paso Fino Farms) Over the course of a 4 month long investigation, ARM operators collected evidence of this illegal animal slaughter for their human consumption purposes. 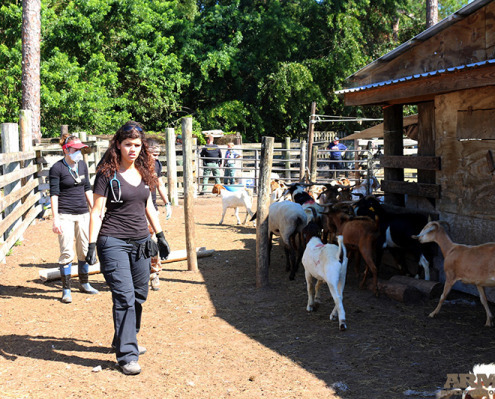 Medina Farm was unique in that it catered primarily to Muslim and Spanish customers not only for human consumption, but sold animals for ritualistic sacrificial ceremonies. 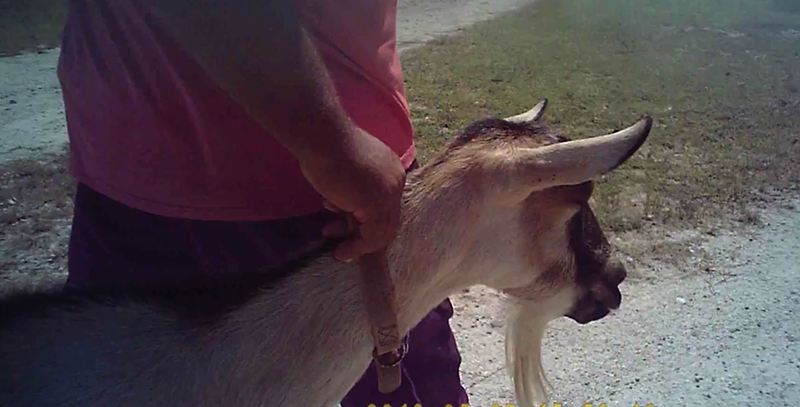 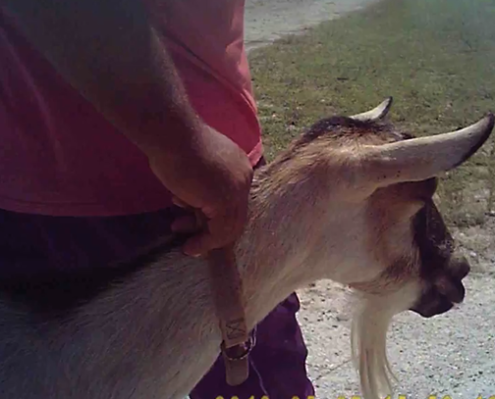 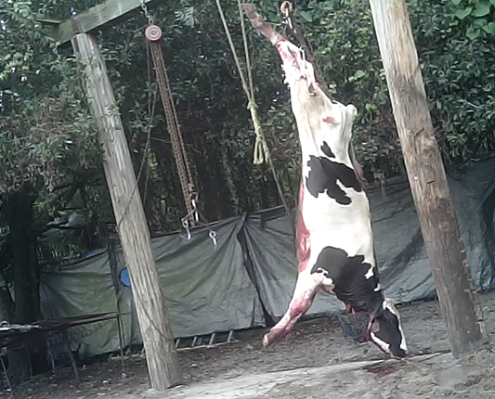 Although Medina Farm is legally licensed to trade and sell animals, it does not hold an operating license to slaughter animals, therefore is operating illegally. 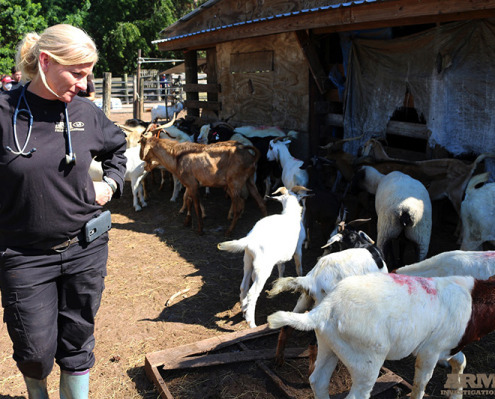 The public and neighboring residents of the property had been actively filling complaints about the abuse and slaughter of animals on Medina Farm for years. 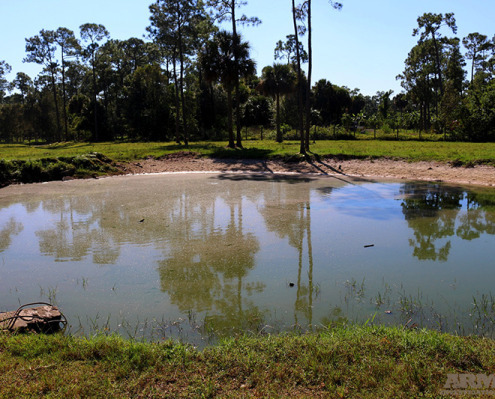 Situated in the suburb known as Loxahatchee Groves, Medina Farm is situated within walking distance to the elite equestrian show grounds of Wellington (Florida), also knows as the show horse capital of the United States. 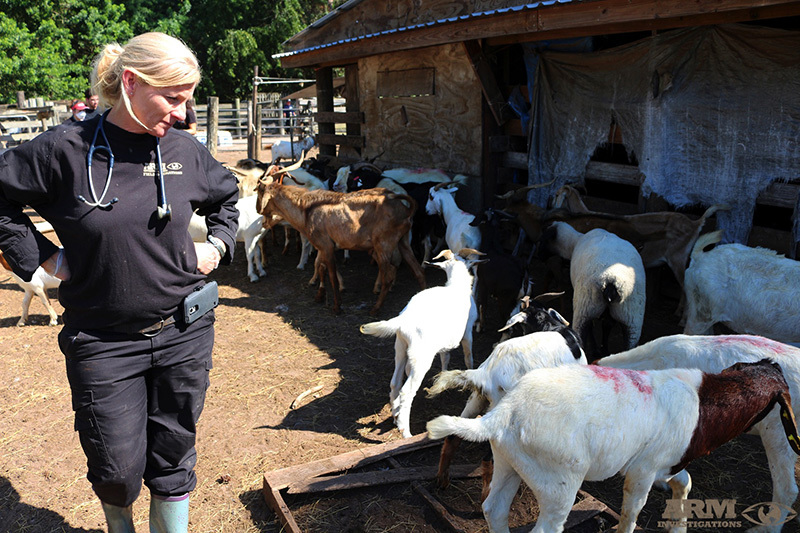 The farms owner, Monieram Rathibhan, known to ARM investigators as Jay, was the manager of the farm who was in charge to oversee the slaughter and sales of the animals. 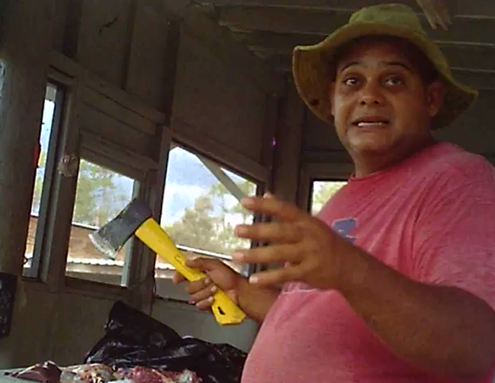 He operated the business with another man who goes by the name of Jay. 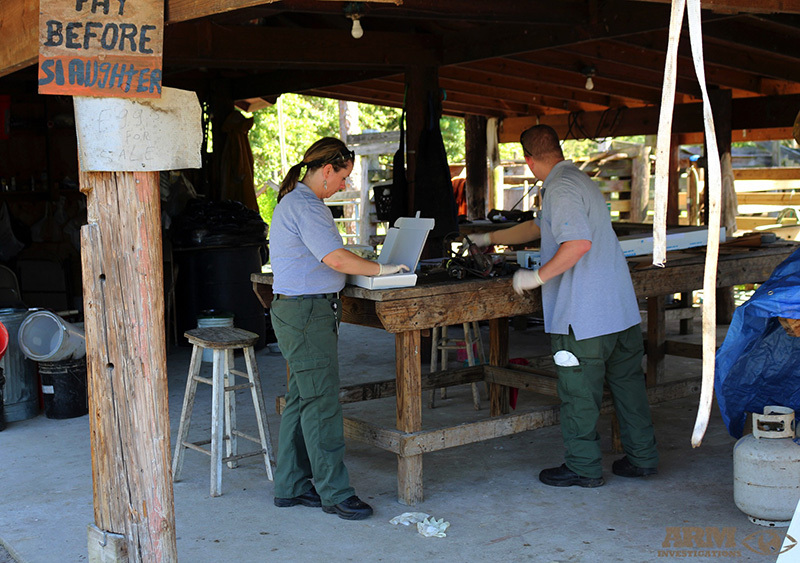 Through it’s in-depth investigations, ARM has collected multiple felonies on both of these men. 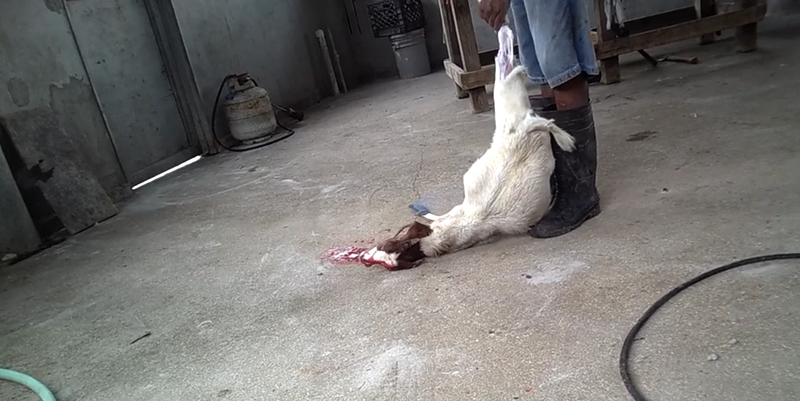 Profits from this business come from the slaughter of animals and the illegal slates of their meat. 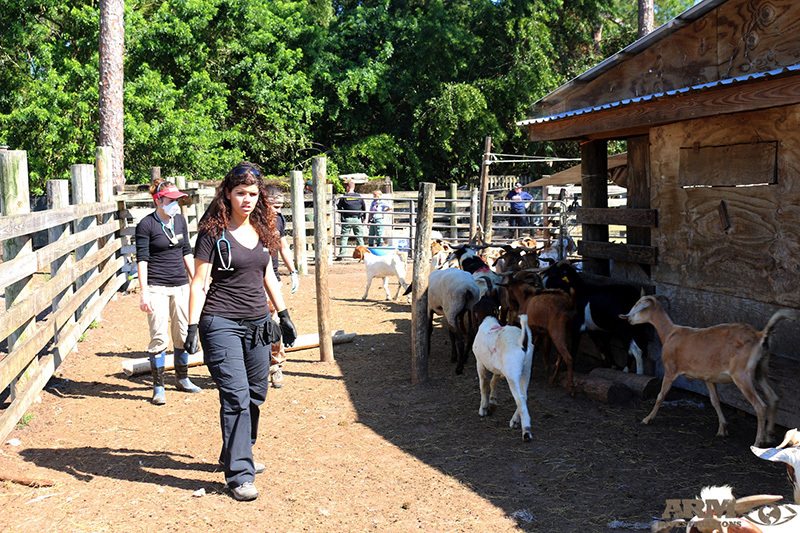 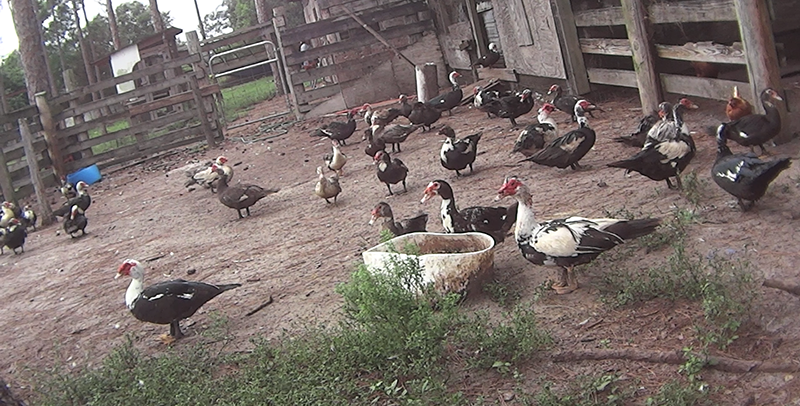 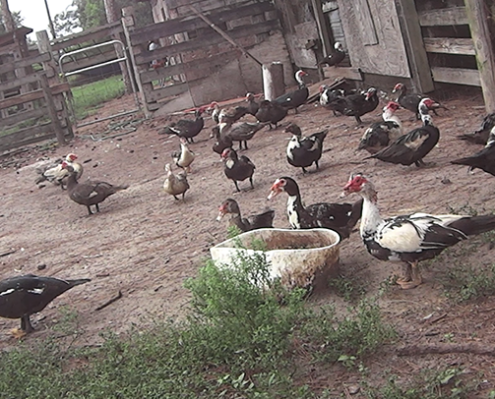 Besides cows, the animals on the farm consist of bulls, goats, sheep, chickens, ducks, pigeons, dogs and cats. 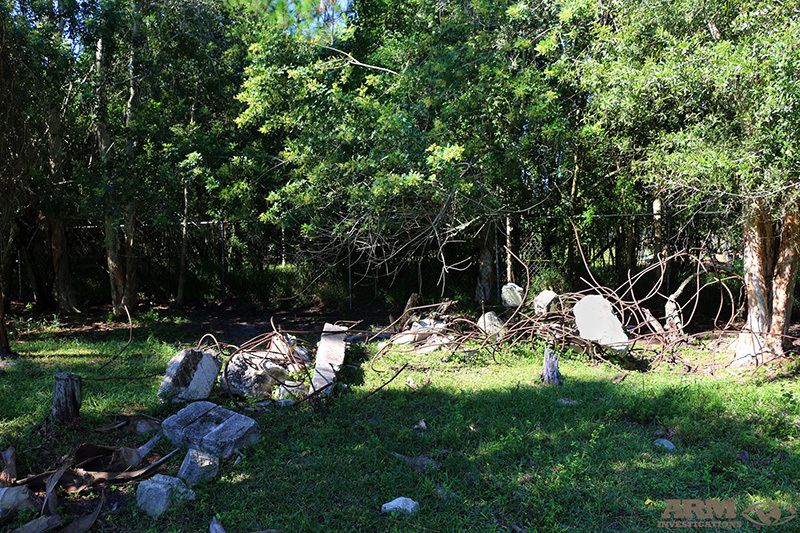 Included in these animals, who were slaughtered on site, included domestic animals and former pets of people who resided in the area. 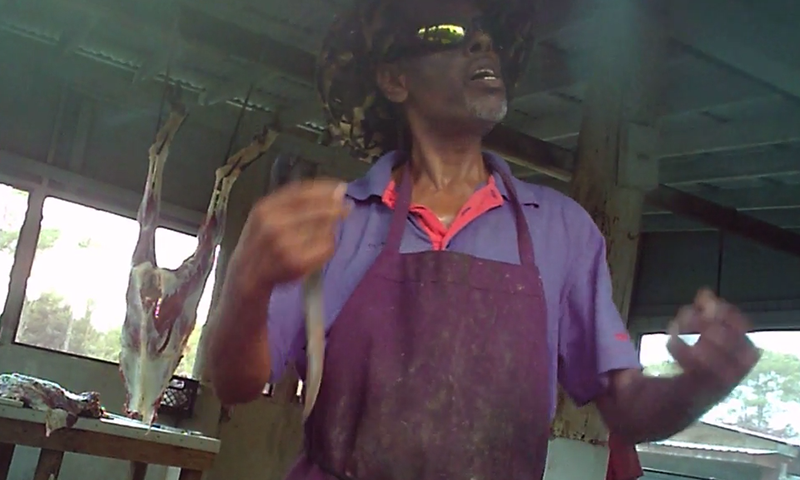 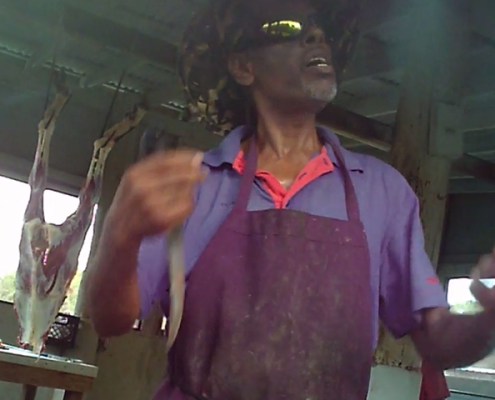 Upon each occasion that ARM Investigators where inside of the property, footage was captured of illegal and inhumane handling, and slaughter of the animals who were butchered for paying customers. 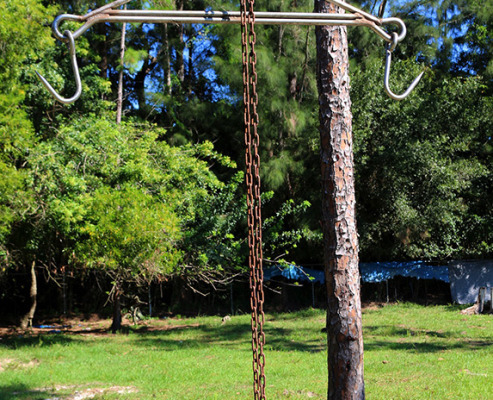 Multiple and extremely inhumane treatments were executed upon the animals including, but not limited to; being holstered, boiled alive and butchered before being rendered insensible to pain. 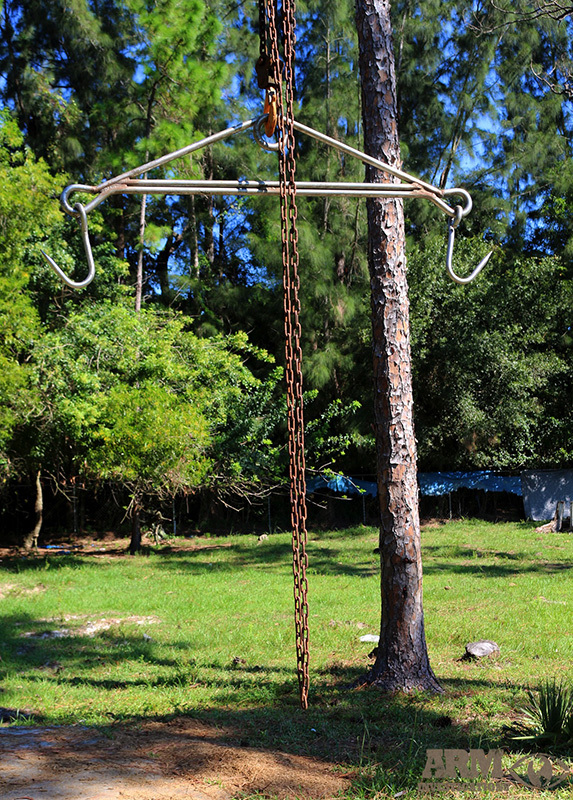 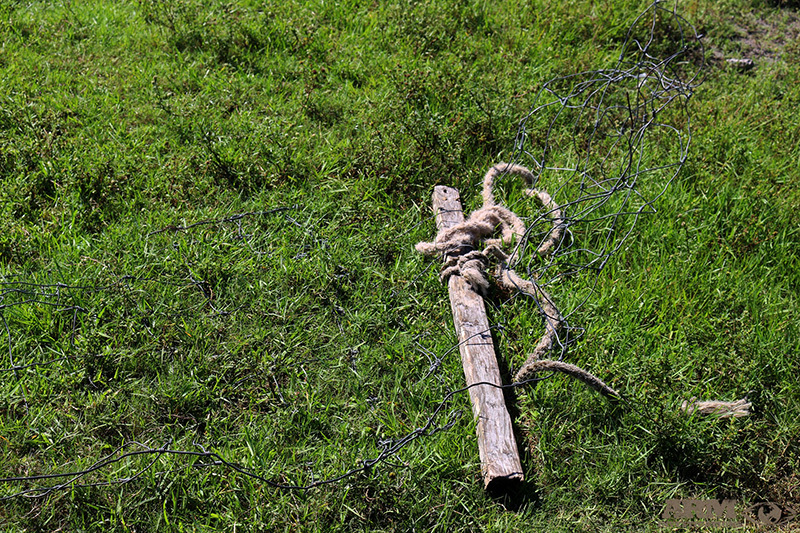 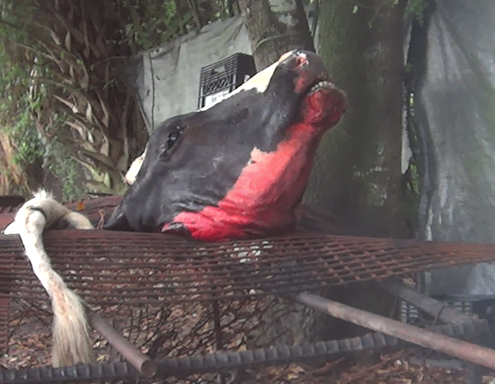 Cattle were also being inhumanly handled and illegally slaughtered, butchered and sold on this property. 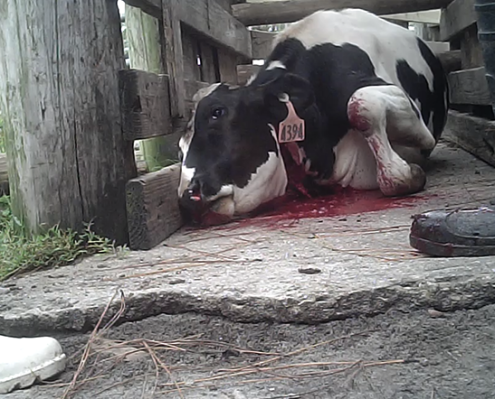 ARM’s documentation showed employees shooting a cow with a small .22 caliber rifle, which barely had the impact to stun the cow let alone killing it quickly and painlessly. 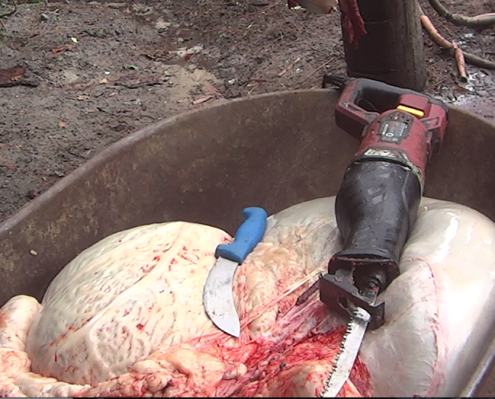 This was followed by the cows throat being severed only halfway with a dull knife. 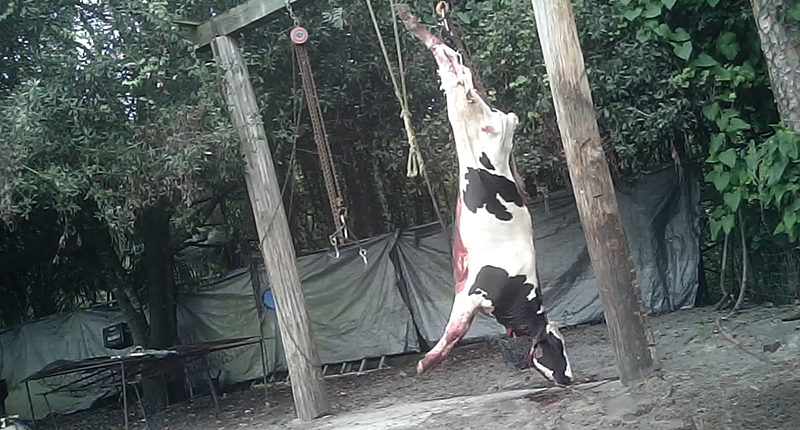 After ten minutes, the employees dragged the cow to the hoisting and slaughter area. 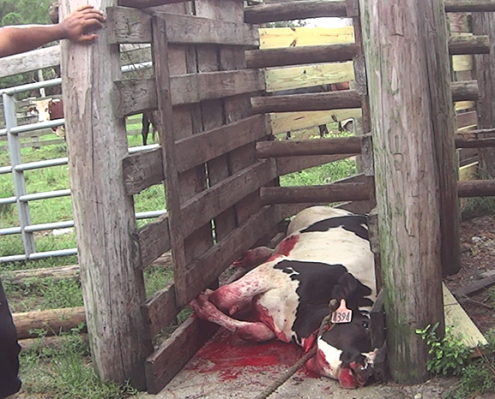 Documentation collected by ARM showed the cow’s moving pulse throughout this entire process, concluding that the cow had suffered severely. 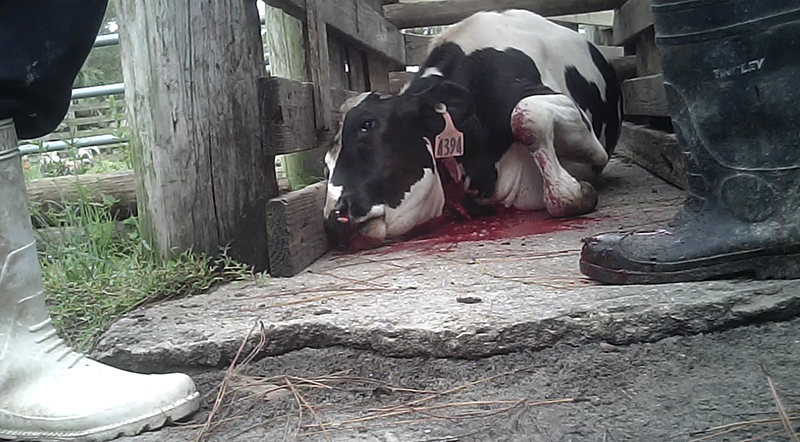 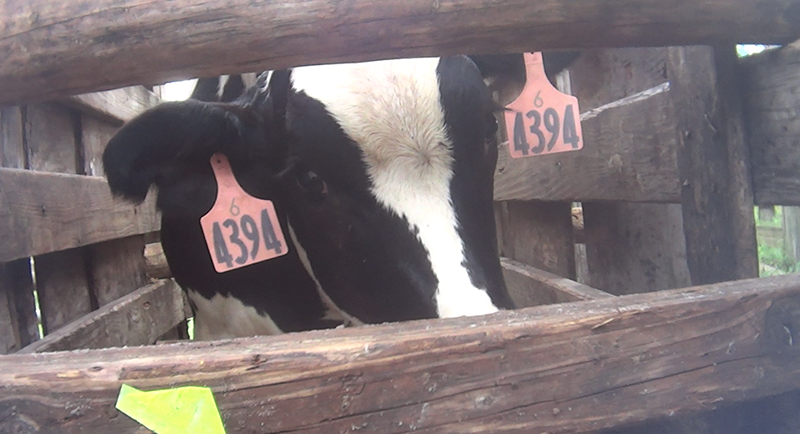 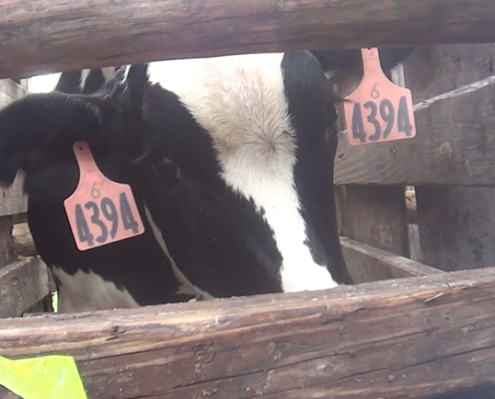 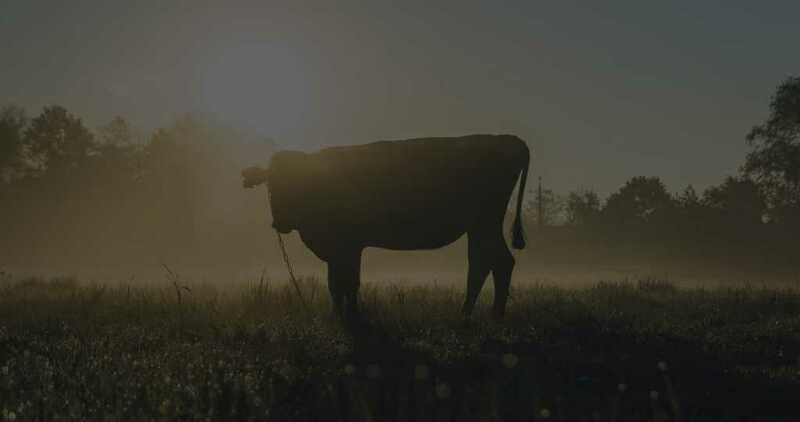 The cows that Medina Farm slaughters were not only being sold illegally to individual customers, but were known to being sold to local supermarkets to the general public. 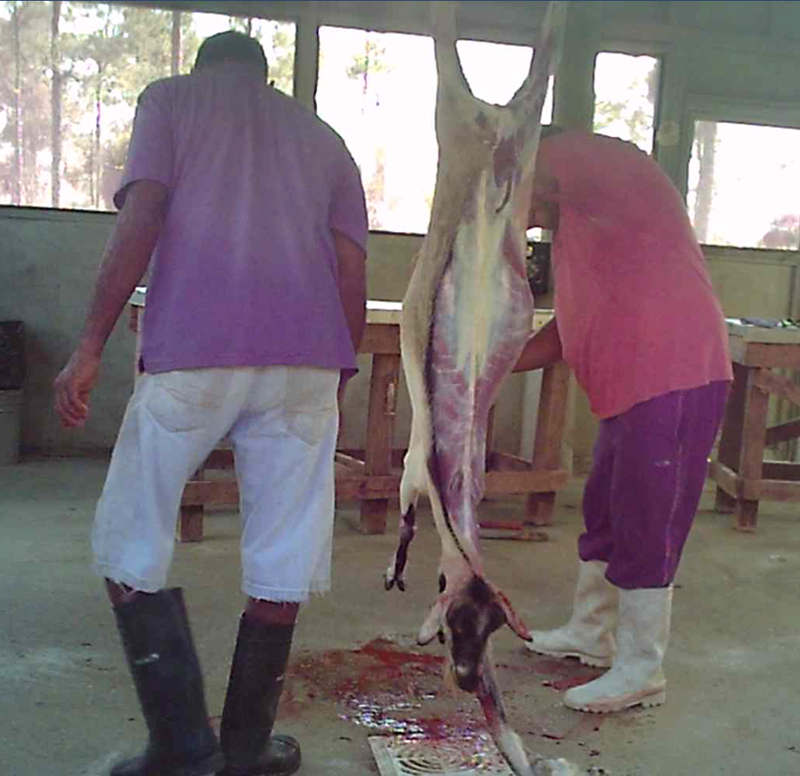 This is considered to be a felony crime for selling un inspected and unadulterated meat for human consumption. 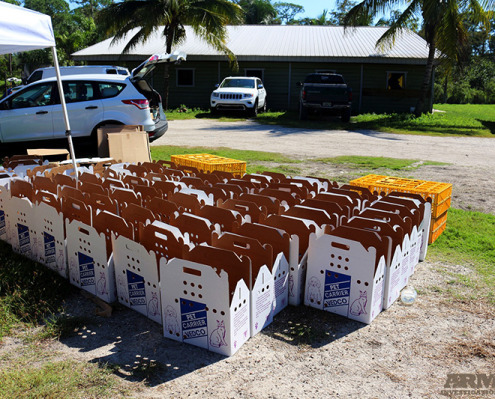 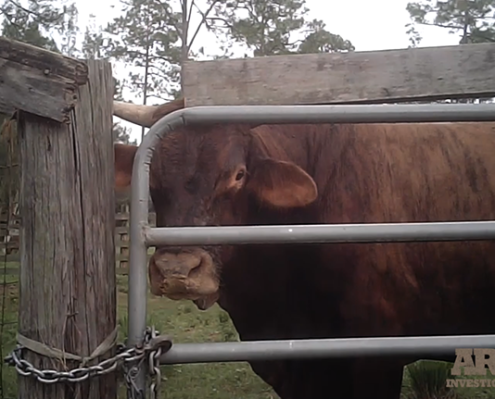 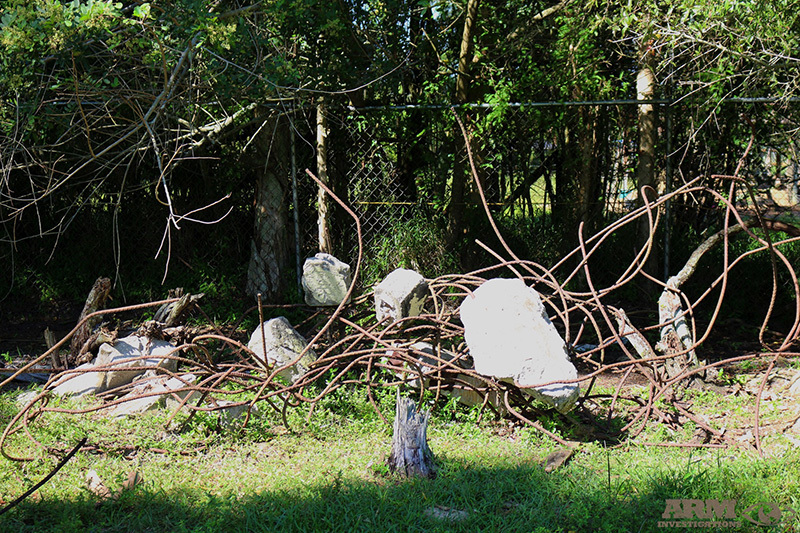 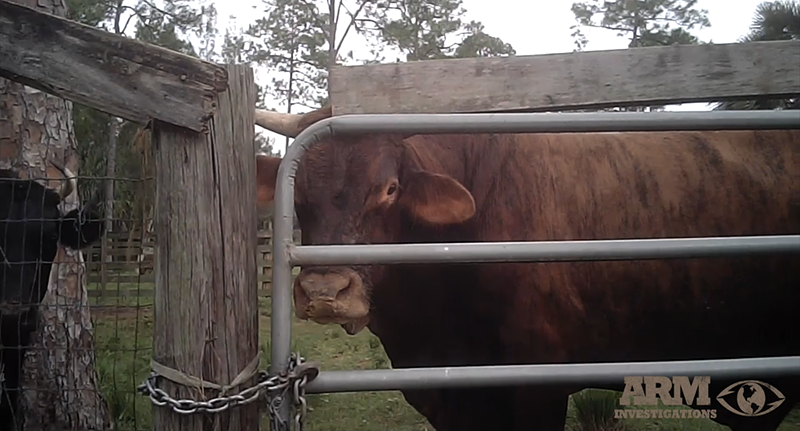 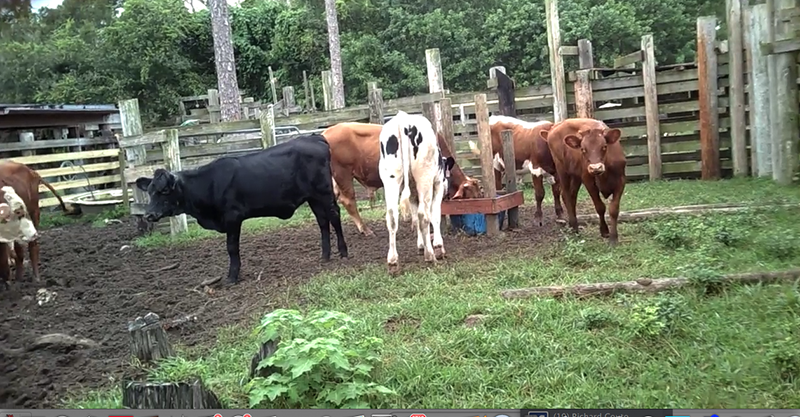 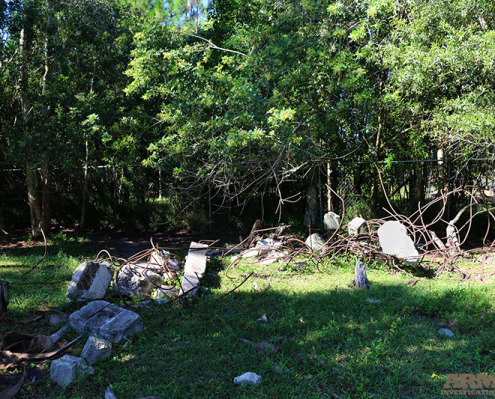 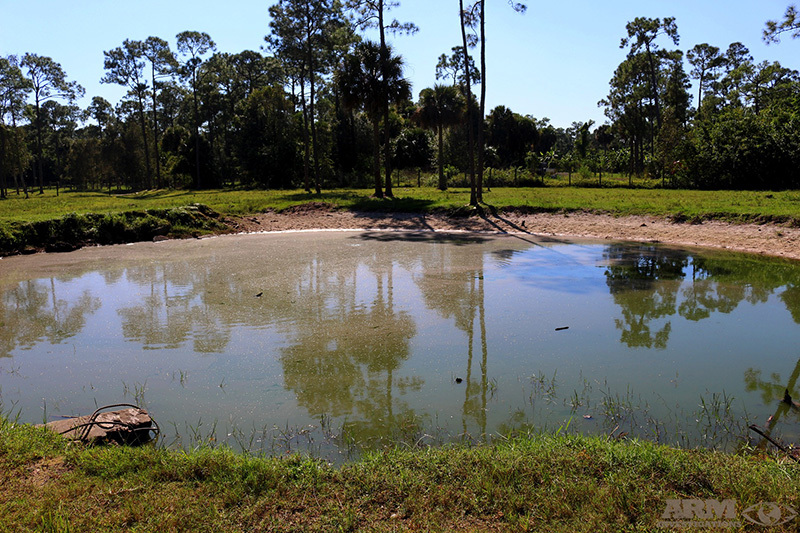 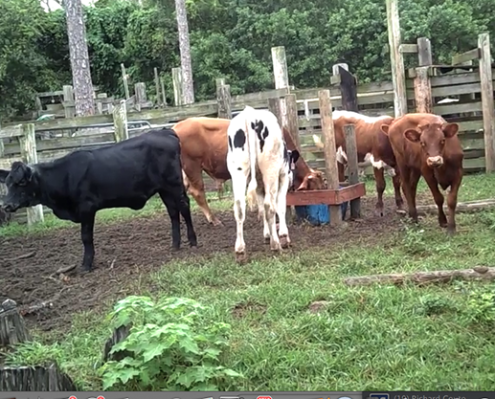 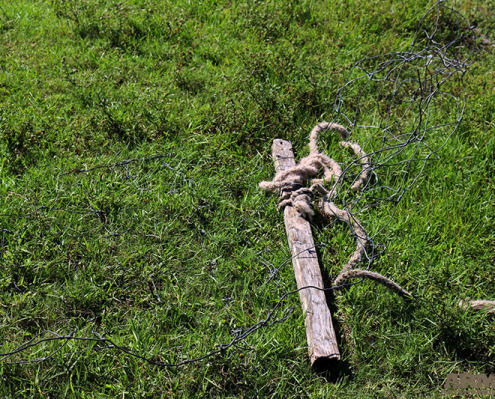 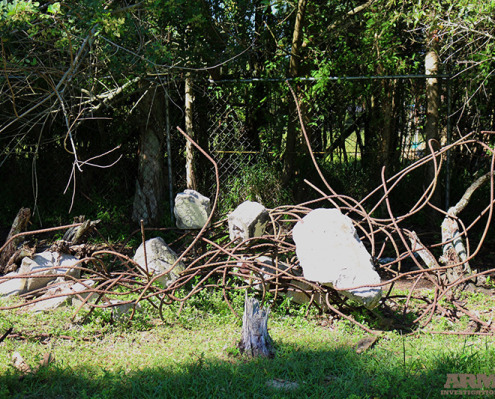 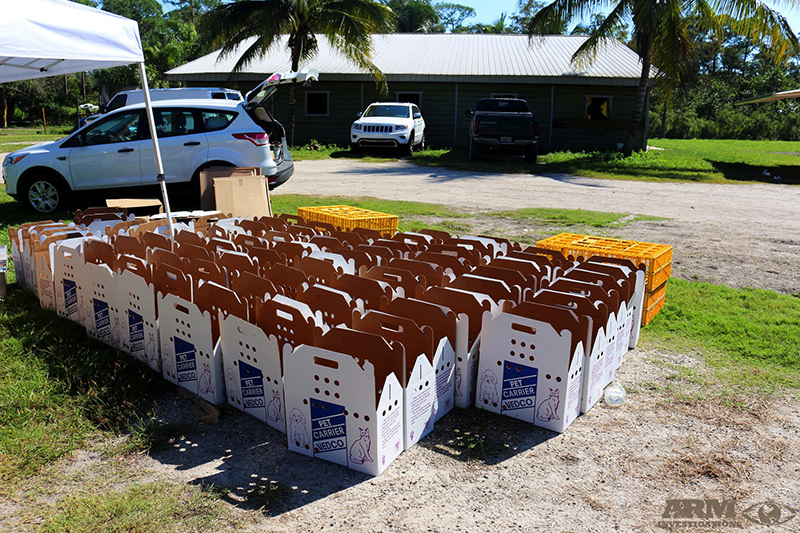 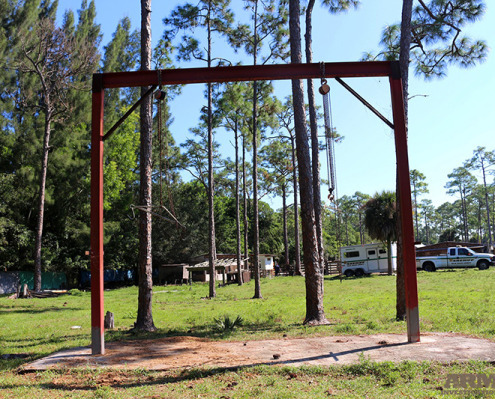 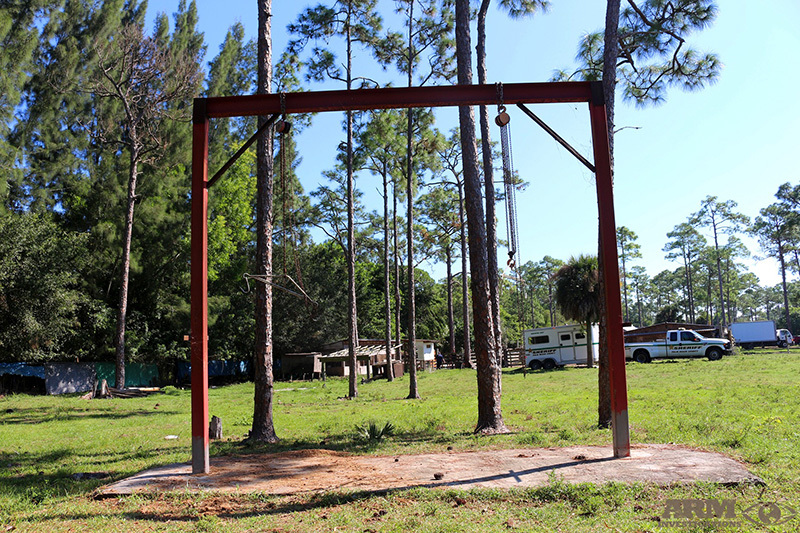 Medina Farm also poses grave concerns on Palm Beach County’s water as the blood from the slaughtered animals is being poured into the farm’s grounds and water supply, possibly contaminating the public water supply. 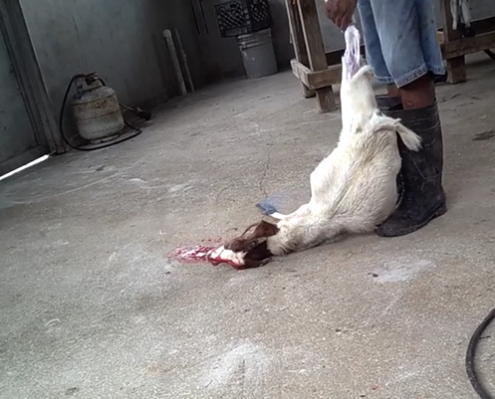 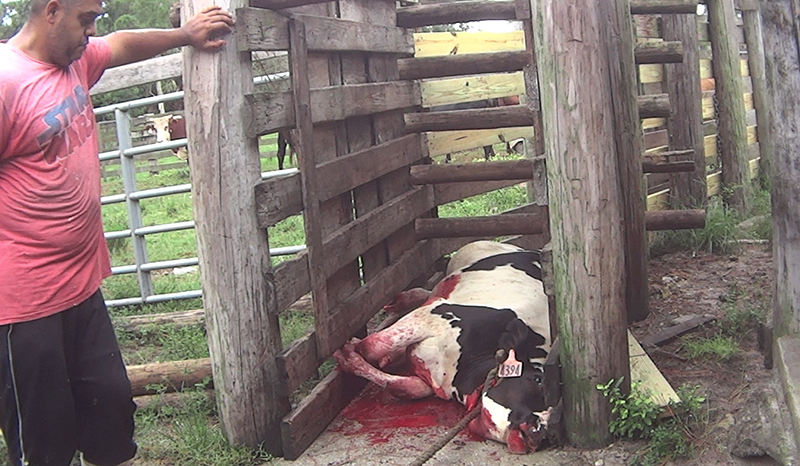 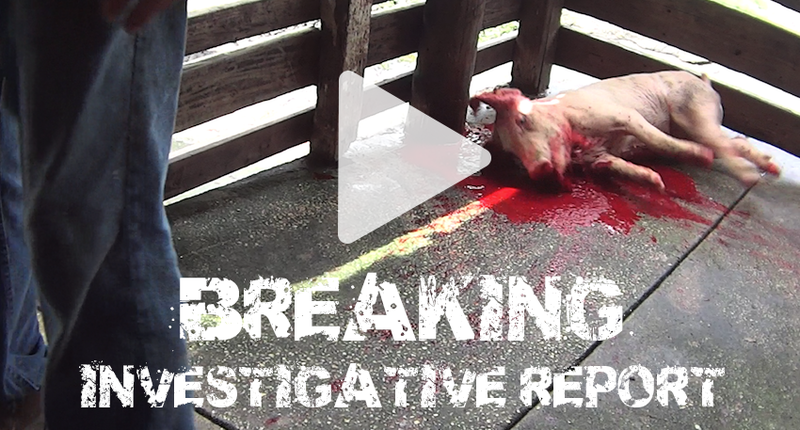 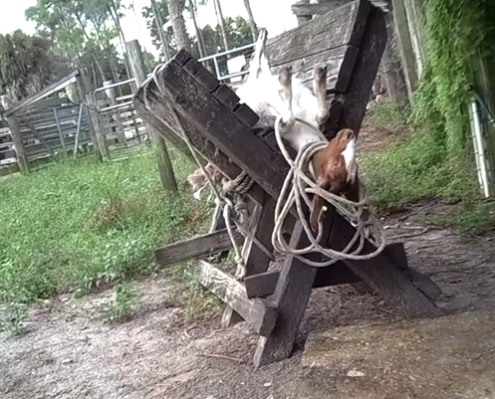 Watch how the raid went down on all three illegal slaughter farms! 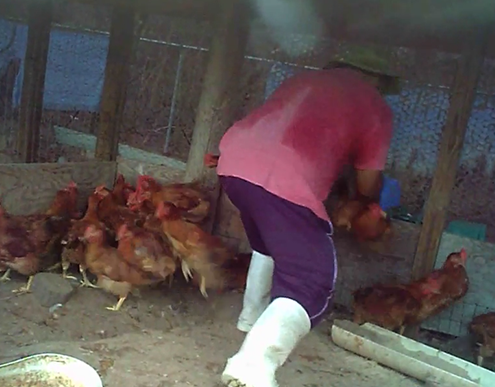 ARM’s undercover investigations here! 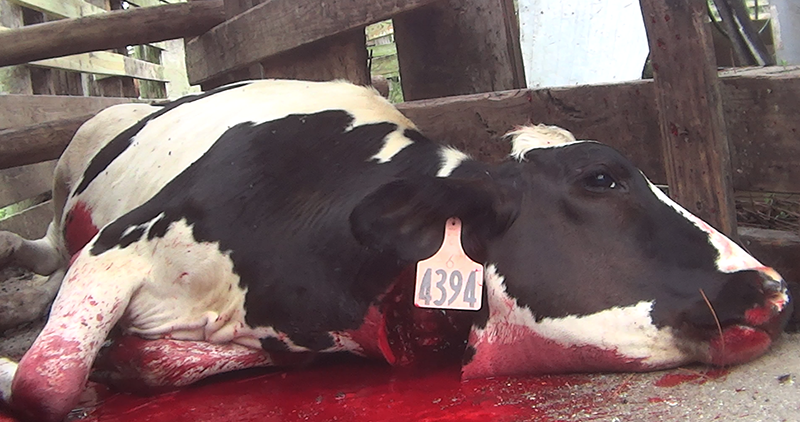 ** WARNING – contains graphic content ! 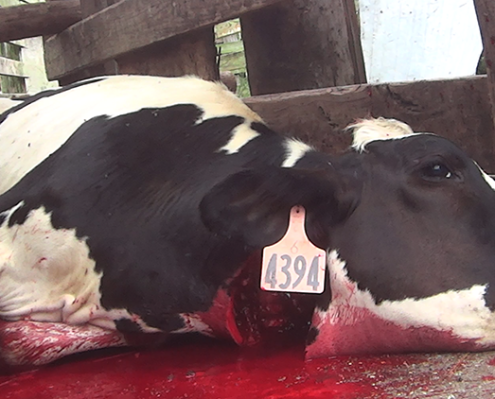 The controversial processes after the overproduction of meat, are we consuming cruel food?